That was my thought process, until I finished the series for the second time and was dying for more. If you keep it up until she publishes it, I will have to bow down to you for your amazing restraint. I can try, right? lol I'm just going to try to ignore it, and maybe stay away from the section on Stephenie's website lol. Location: In a glass case of emotion...in FORKS! Of course it IS a tragedy that someone betrayed her in that manner. And I COMPLETELY understand not being inspired to continue with it, but honestly she has such passion for the series I would be extremely surprised if she DIDN'T finish it. Sure, it probably won't be right away but I bet it WILL happen eventually. It's just a matter of when she gets bit by the Twilight inspiration bug. As for what she has been so gracious to allow us to read...it's amazing, fabulous and utterly gorgeous! I loved every minute of it and I truly hope and pray that she does in fact finish it! It REALLY helps you understand Edward along with all the other books. To reiterate...it IS without a doubt a tragedy, but I think the real tragedy would be for her to NOT finish that awaiting masterpiece. I'm not sure if this is the right thread to post this, but I noticed something weird on Stephenie's site. The link on her site for the pdf of Midnight Sun used to be "midnightsunpartialdraft3.pdf" or something to that effect. I know this because I had it bookmarked as of mid December. Yesterday I went to go look at it again for something and I noted that the bookmark didn't work anymore. I then went on and found that the name of the link had changed to "midnightsunpartialdraft4.pdf". Or could it just be Seth re-linking to the same one? STEPHENIE MEYER: It's really complicated, because everyone now is in the driver's seat, where they can make judgment calls. ''Well, I think this should happen, I think she should do this.'' I do not feel alone with the manuscript. And I cannot write when I don't feel alone. So my goal is to go for, like, I don't know, two years without ever hearing the words Midnight Sun. And once I'm pretty sure that everyone's forgotten about it, I think I'll be able to get to the place where I'm alone with it again. Then I'll be able to sneak in and work on it again. RoseSpecialist wrote: I'm not sure if this is the right thread to post this, but I noticed something weird on Stephenie's site. I'm pretty sure there are some spelling changes. There might be some other changes, too, though. I can NOT believe it cuts off before the meadow scene, the scene I want to know what Edward's thinking the ABSOLUTE most! Private Aubrey Tobin in Jasper's Confederate Army. I just wish she would give MS to the fans like "okay I`ll finish it for the fans" I know she is hurt it leaked and I understand, but how can she do this to us. She is taking away our brand of heroin I need more of the Twilight saga. I must admit then when I went to read Midnight Sun on SM's website, I was afraid it's be boring since it was the same story as Twilight...although why I thought it would be I have no idea!! I was really WRONG! 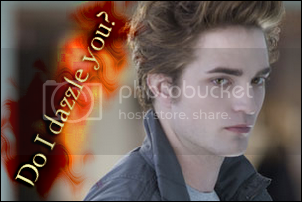 I enjoyed it soooo much and felt like I got to know so much more about Edward and the other Cullens. I too was VERY sad it left off right before the meadow scene!! I heard some rumors that in Twilight Saga or Midnight Sun , Edward almost fall in love with Tanya but Jane likes him too so two of the girls fighting and Edward realizes ... so when he came to Italy for death , it's Jane begging Aro to forgive Edward .... Is something wrong ? Stephenie Meyer had been planning to write a Twilight crack-fic, maybe that's what you heard about, Kirume.